Termites are more than a mere annoyance. They can destroy a home completely in a short amount of time. 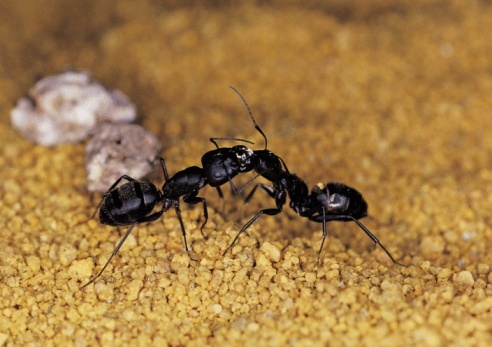 Because they feast on wood, paper, wallpaper, carpeting and other fibrous materials, no home is safe from their damaging effects unless preventative measures are taken to discourage infestation. 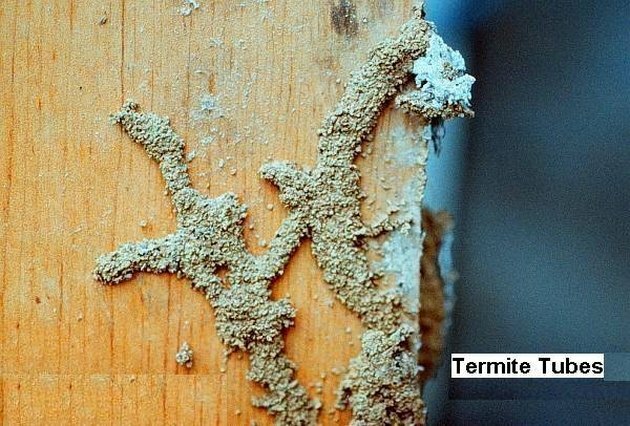 Here is what you need to know about the causes of termites in your home. Termites are attracted to areas where moisture accumulates in and around your home, including damp basements, laundry rooms, bathrooms and leaky foundation walls. Termites will eat any kind of wood--mulch, rotting wood, new wood, painted wood and treated wood. They will even eat wallpaper and shelf paper. Untreated trees, plants and foliage around your home may attract termites. Keep foliage and wood mulch at least 28 inches from your home's foundation to make entry more difficult for termites and other destructive pests. Stagnant, moist air in your home provides the perfect breeding ground for termites, so keeping the air circulating and dry is essential if you wish to avoid them. Put electric fans in areas that attract moisture, empty flower pots and other pools of standing water, and ventilate areas that remain consistently moist, such as the bathroom, laundry room, attic and basement. Scrap lumber from a home renovation stored near your home may be infested with termites and should be burned to ensure that your home does not become reinfested. If any portion of your home is in direct contact with the soil or plant material in your yard, you may be giving easy access to termites. Again, keep all foliage, soil and mulching at least 28 inches from your home's foundation. Wood mulch is attractive to termites. Use mulch sparingly around the foundation of your home, and be sure to choose mulch types that are less likely to attract pests, such as rubber mulch or treated cedar. Tammy Quinn McKillip has written extensively in print and online publications about pets, parenting, theater, design, health and environmentalism since 1999. She is the editor of the Macaroni Kid National Family Safety newsletter and publisher and editor of "Macaroni Kid," a local family-friendly weekly events newsletter. She is pursuing her Master of Fine Arts in creative writing at City College of New York.